KWP fire dampers are designed for installation in ventilation systems as shut-off divisions, separating the zone covered by fire from the rest of the building. Depending on the installed drive, the flaps can work as shut-off fire dampers, fire or mixed ventilation flaps. KWP are symmetrical dampers designed for horizontal installation (in walls) and vertical (ceilings). They can be installed in all types of building partitions (rigid partitions), including plasterboard walls as well as outside partitions. These dampers are based on one unified connection. After connecting the appropriate element to it, a flap with a specific function is achieved. The damper has two inspection openings at the top and bottom, which means that there is no need to mount inspection covers on the channels before the flaps, for periodic inspections and testing. There is no need to specify a service page. – KWP-O-S – fire damper for ventilation ducts with spring drive, without comfort function. – KWP-O-SE – fire damper for ventilation ducts with spring, with separation of safety functions from the comfort function. The drive system is a spring mechanism with an electromagnet for remote release. To get the comfort function, you must additionally install the BL 24-48 SMY or BL 110-230 SMY actuator for remote opening. 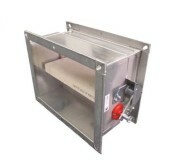 – KWP-OM-E – fire damper for ventilation ducts, with actuators with return spring, with combined safety function and comfort function, with the possibility of using in mixed installations, where the damper can be used to regulate air flow or pressure regulation during normal operation general ventilation. The drive system is the BELIMO electric actuator of the BLF or BF series. 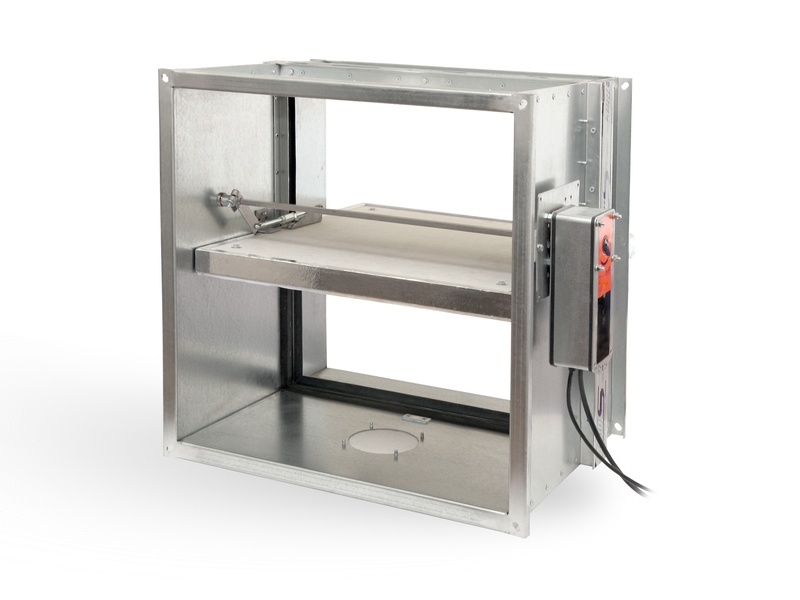 The KWP-OM-E dampers can be installed with explosion proof actuators. 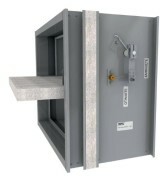 – KWP-P-E – flap for fire ventilation (normally closed). These dampers do not have thermal switches, and the electric actuators used in them do not have a return spring. The control system is the BELIMO BLE or BE series electric actuator. – KWP-PM-E – flap for fire ventilation (normally closed) with the possibility of using in mixed installations, where the flap can be used for periodic ventilation or pressure regulation during normal operation of general ventilation. The drive system is an electric actuator from BELIMO series BLE or BE. 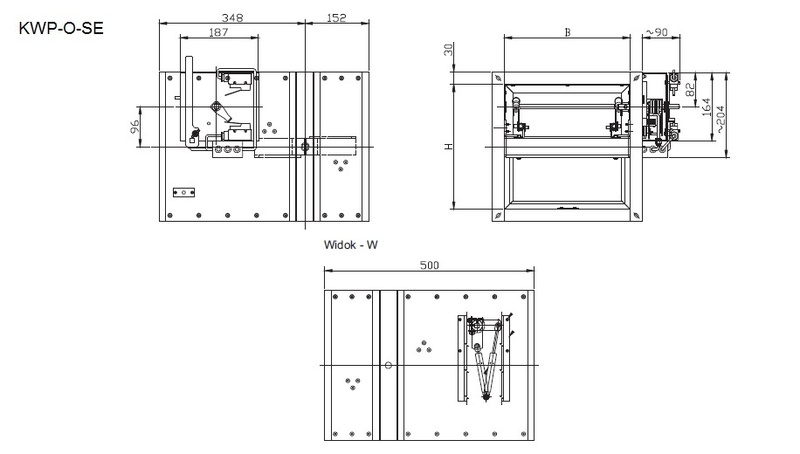 The standard length of KWP dampers is L = 350 and L = 500. The custom-made manufacturer performs any intermediate quantity within the limits of the type series.